You’ll be set for a day of bliss with this Amish chaise lounge that is handcrafted in the USA. 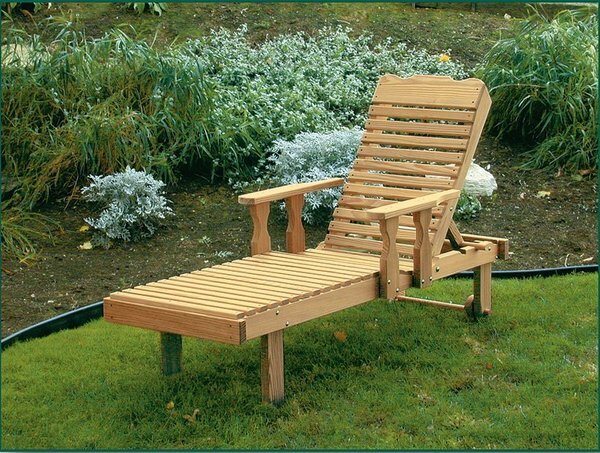 Our pine wood chaise lounge is sure to offer years of comfort and enjoyment poolside or in the backyard. The back is adjustable with four different positions and you can easily roll the chaise lounge around with the handy back wheels. Order a set so you don't have to fit over who gets to relax in comfort.